Getting ready to lift the lid off of these very tight buckets. I got this equipment form City Brewshop. Brew. Drink. Repeat. 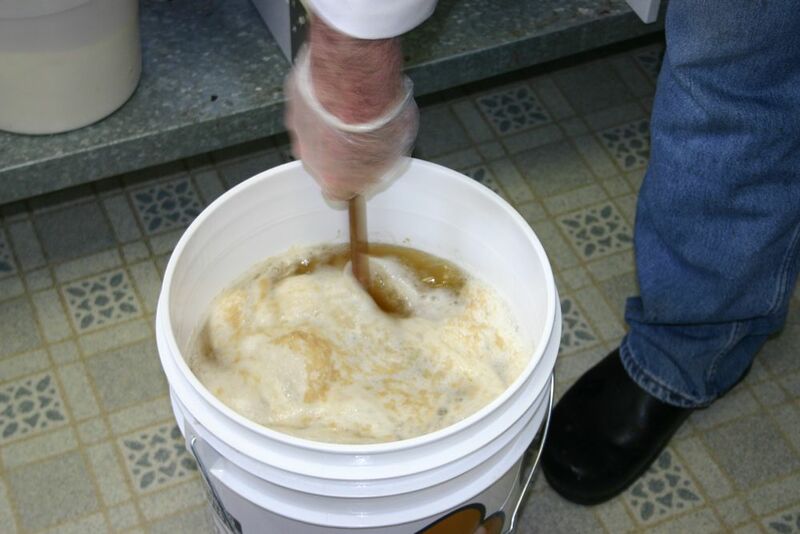 After the initial pitching of the yeast and the initial adding of the nutrients and energizer, you have to stir the mead 3 more times and add the nutrient/energizer combination each time. 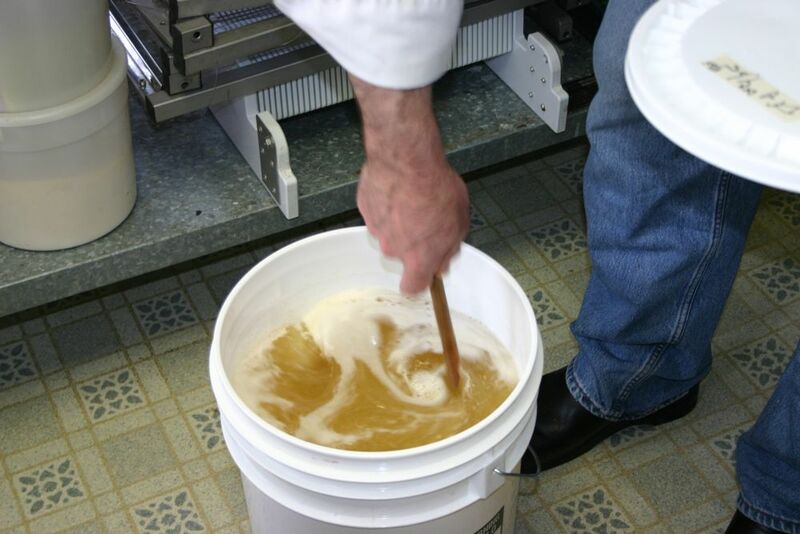 I started out with the mead in the kitchen, along with my Petite Saison d'Été. The weather had been lovely and cool. Then it got hot. 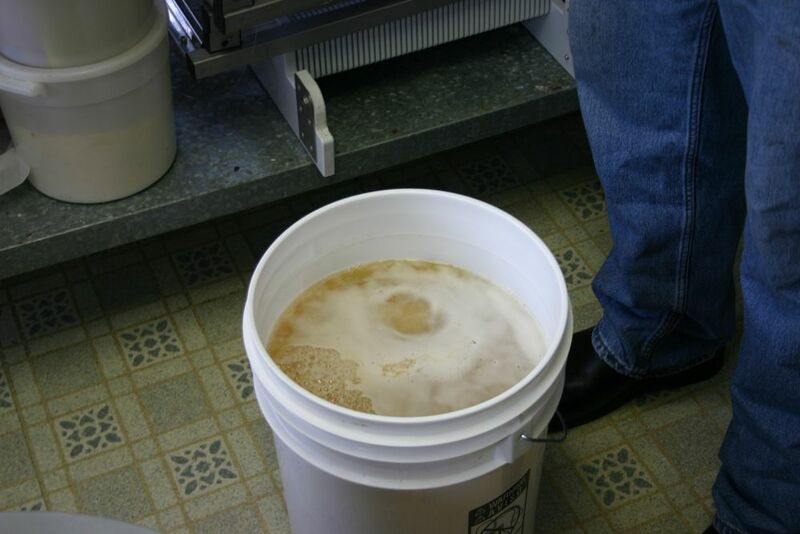 The kitchen soon became a very bad place for the mead and beer. In the middle of the day, the temperature rose to around 80 degrees. I moved the three 5 gallon buckets to the cellar where it ranged from 63.5F to around 67F. 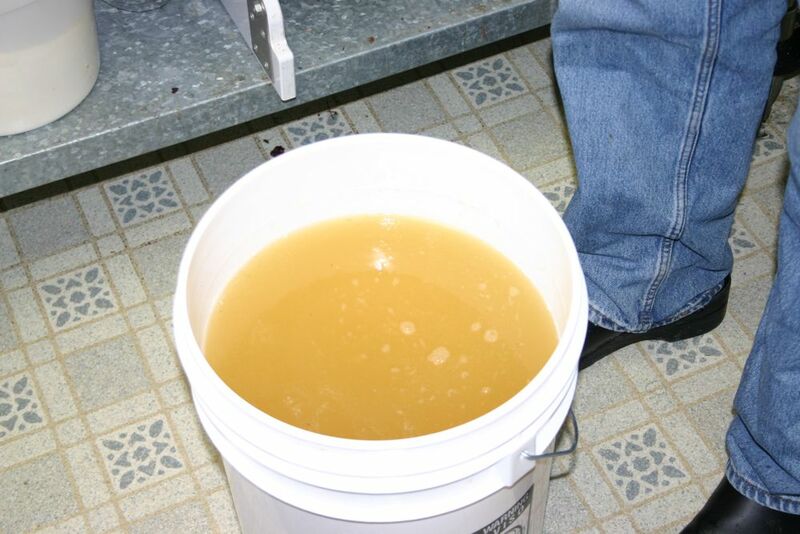 The mead and beer is very happy down there. I don't think it ever gets above 70 degrees in the cellar. At least, I hope not. I don't have any more places to move it. I wish I had some dry ice, I could always throw that in. It's an old wine making trick. The golden mead. I used a lot of honey on these two buckets. 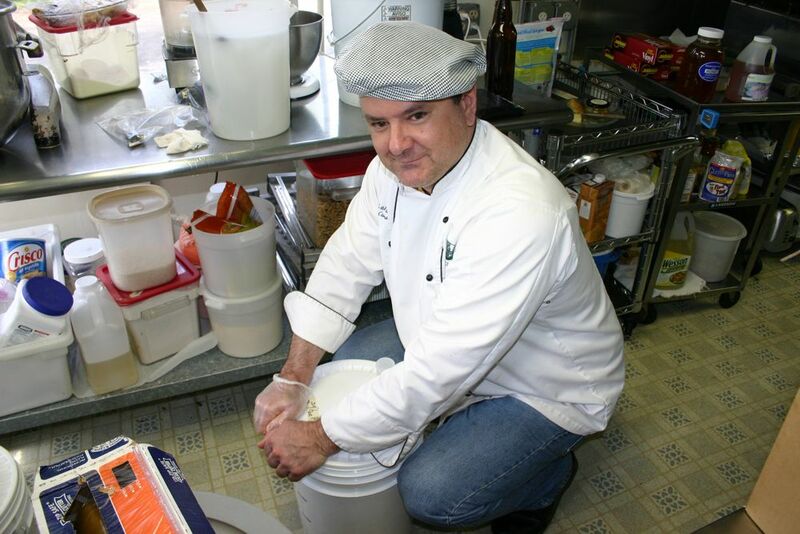 First I stir to release the built up CO2. 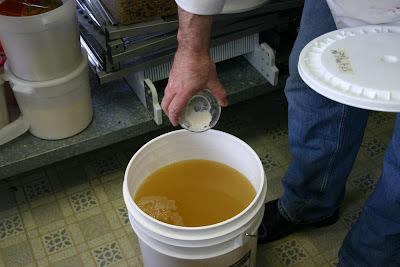 When I did this the first time, the mead, the Dry Mead, actually hissed at me. And then when I threw in the nutrient. It really bubbled up. Not as energetic the second time. This is from the second day. Or it may have been the third day. 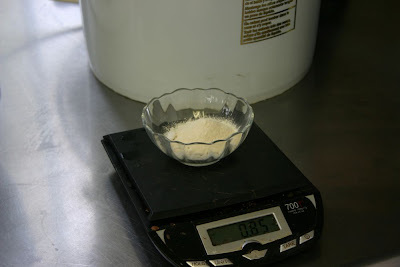 Weighing out the nutrient mix I made up. And as you can see, it's starting to foam up. Stirring. This is the Sack Mead, which isn't quite as energetic as the Dry. 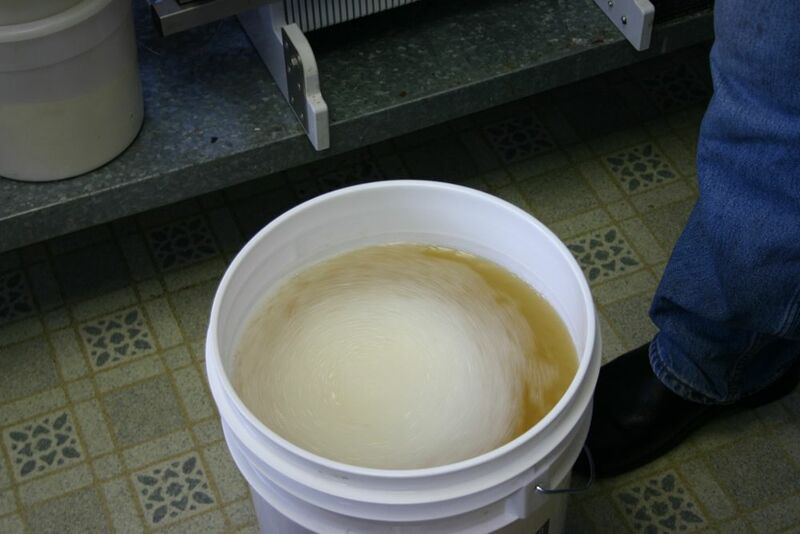 This is the Dry Mead and as you can see, it's bubbling like crazy. Wow. Will you look at that head. I had to do this once a day for 3 days. I had to sanitize all my equipment and it was a little bit of a pain doing it in the cellar but I managed. The Sack Mead is supposed to be like a great Ice Wine and the Dry Mead, which I'm going to bottle condition and make bubbly is probably like nothing I've ever had. 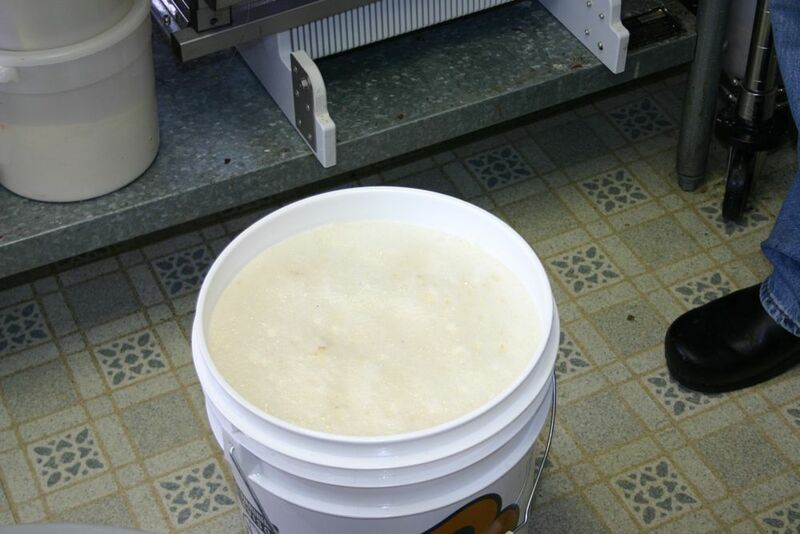 We'll see in 3 months for the Dry and 4 months for the Sweet Sack Mead. I can't wait.